Antietam Fit, a program to encourage high school students in the Antietam School District to become more active. Each student will receive a Fitbit, a device that captures a student’s “steps” per day, and grade levels will compete to win “most steps” challenges. Healthy lifestyle curriculum also will be used.Berks Counseling Center will implement the “WHAM” project. The Whole Health Action Management project aims to close the gaps in the delivery of physical health and wellness programs for those with severe mental illness by engaging and training certified peer specialists. 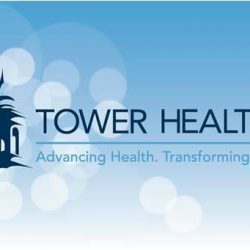 A Medical Interpreting Program, offered by Centro Hispano, will provide a Certified Medical Interpreter to a Tower Health Medical Group Primary Care Office. The intrepreter will enable better communication between Spanish-speaking patients and their provider.MidPenn Legal Services will implement the Medical Legal Partnership (MLP) program. MLP will provide assistance to eligible patients to address legal issues related to social determinants of health, such as landlord-tenant issues. New Journey Community Outreach, will increase the number of families and individuals served at their Reading location. NJCO will launch a health eating initiative that will include providing nutritious recipes, cooking demonstrations and weight and blood pressure checks. Be Well Berks’ mission is to improve the health and wellness of Berks County residents through thoughtful leadership, partnerships and community investment. The programs that received grants close gaps in medical care and address barriers to health for populations whose high-risk, vulnerable members have challenges such as chronic disease, substance abuse or mental illness.